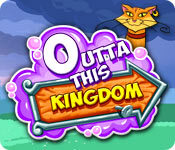 Outta This Kingdom is rated 3.6 out of 5 by 78. Rated 5 out of 5 by joannes0 from Great Game I loved that it combined two types of games into one. The characters were cute and fun, and I loved that you could choose to do it without the timer. Fun game all around. Rated 5 out of 5 by gilawrence from Sequel Required! I'm not normally one for leaving game reviews but I love this game. Yes it's silly and cartoon-like but it's fun...and that's the main thing when you just want to switch off and play a game. This is probably one of the best games I've ever bought from Big Fish. I'm not going to get into all the technical things, other than to say that it does have a relaxed mode so you can play without stress (my favourite kind of game). I've played this countless times and never get bored of it. It's a great way to switch off. My only complaint is that there isn't a sequel. I want more like this! Rated 5 out of 5 by hlcteacher from Totally Enjoyed I don't do "demo" games and I think that a lot of the reviewers never tried to play the full game and lot of them are just plain snotty about a game (for goodness sake, its a game!). I am an older adult who enjoyed the game with my grandson...he can't read yet so he needed the tutorials (that disappear as you progress in he game) and any time you are too lazy/uninterested to read, just click through the verbal bubbles, no problem. 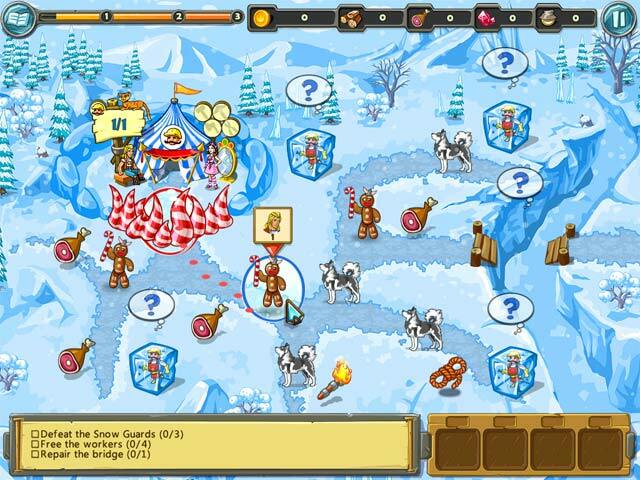 The levels got harder, the storyline was fun and we simply turned off the sound so voices are not a problem. All the way through the game I enjoyed it and sometimes had to either think ahead of start the level over. Good game. I hope to find another like this one. Rated 5 out of 5 by murphie12211 from So much fun !!! First, I didn't play the timed mode, so my review is based on the relaxed play. But that's exactly what this game is....relaxing and fun. However, that's why I rated the level of challenge just OK. I have yet to try the timed mode. Each level is broken down into parts, which was unique to me in a TM game. That in itself, enhanced the game play and gave more into the storyline, which was okay. It was the funny characters you meet along the way that made me want to keep playing. And of course they also have an often sassy, talking cat. I also liked the fact that in each "region" they require different housing, so it's not the same thing throughout. 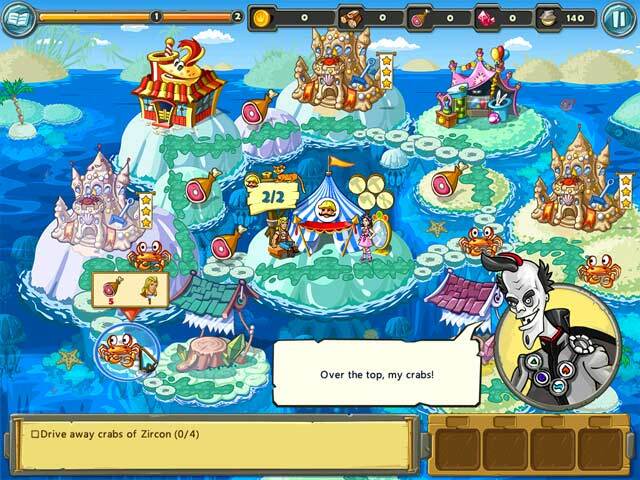 The villains were easy to defeat and there wasn't any rapid clicking to rid you of them. Everything moved along quickly and the resources were always available. There were no long periods of waiting for resources to replenish and the workers moved rapidly, without long roads to travel. Everything a plus for me. Just a truly fun game! Bring on some more like it. Rated 5 out of 5 by JeannieT_LFP from Irritating cuteness, excessive dialog, but otherwise great TM game My title says it all. Note that you can turn off tutorials if you are annoyed by excessively explicit instructions. This is definitely a strategy TM game, not just click-and-drag. And it's not as easy as some reviewers indicate (I wonder how many levels they actually played). I've completed about a third of the game and had to replay several locations in order to get all available stars. This is definitely a challenging game, but not frustratingly so. I like having multiple stages at most locations, with different goals and strategies at each. It's not a perfect game--very few are!--but I will definitely replay it at least once, my personal requirement for a 5 rating. Rated 5 out of 5 by tutortime from I loved it! Its very different in the look of its characters and story line, but fun to play. Rated 5 out of 5 by beltie from Really Enjoyed it At first, I wasn't sure about this one. The dialog was quite lengthy and you couldn't fast forward it. After giving it a chance . . . I really came to like it. 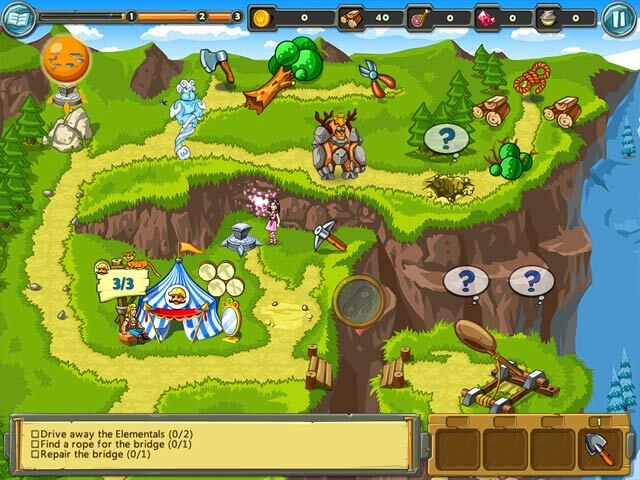 Nice graphics, good challenge to levels, good replay, cute storyline. I typically don't like TM games that don't let you click ahead; however, this one was not painful as some are. Really enjoyed it. Rated 5 out of 5 by GrimReaper72 from loads of fun.... this game kept me playing for days, can't get enough of it, need more games like it.. I have played it about 5 times now, and want more... plz more games like this.. will make me one happy little camper.. my little girl really loved the cat, she wanted to go find some snags and put in the puter for it..haha have fun.. I did..